The great ‘Godzilla’ is quite rightly starting to show its colours as a genuine classic. Australian-delivered R32s will sell at $70-80,000 but are yet to recoup their original $110,000 selling price. Half that amount buys a very good Japanese-spec R32 which are gaining value or an R33 which are not. 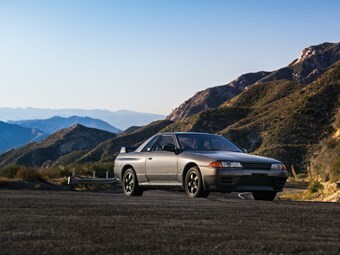 Fewer than 1000 R32 V-Spec versions were built and prices above $50,000 are justified. The R34 Nur [for Nurburgring] is showing big collector potential. Just 750 were made and cars being imported or already here can exceed $200,000. ‘Normal’ R34s are easier to find and V Spec versions sell at around $100,000. With plenty in the market that pricing might not be sustained for long.